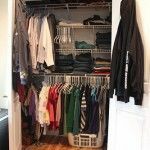 Sure, every guys probably wants some room or a man cave in their home. 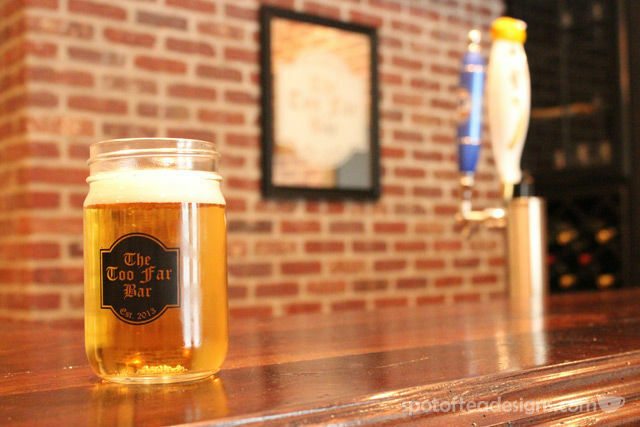 Think multiple tv screens, kegerator for beer and plenty of room for friends. 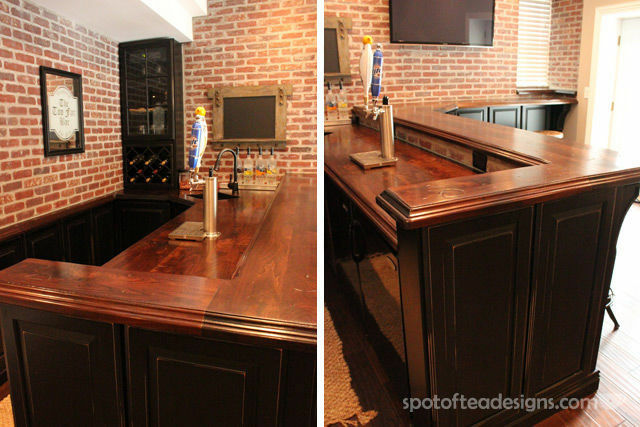 Here’s one such version of a classy man cave complete with a basement bar that looks like it’s right out of your local upscale pub! 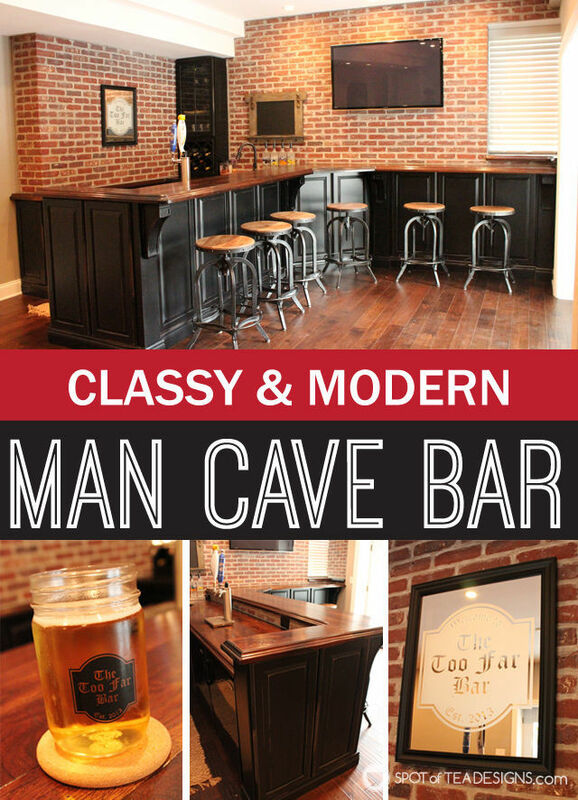 I’m so excited to share today’s post of my brother-in-law’s classy and modern man cave basement bar! 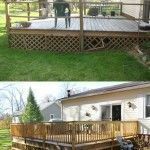 The top photo was his unfinished basement as it stood when they first moved in. Cement blocks, open wood frames in the ceiling, visible insulation and pipes — you know, the typical unfinished basement. 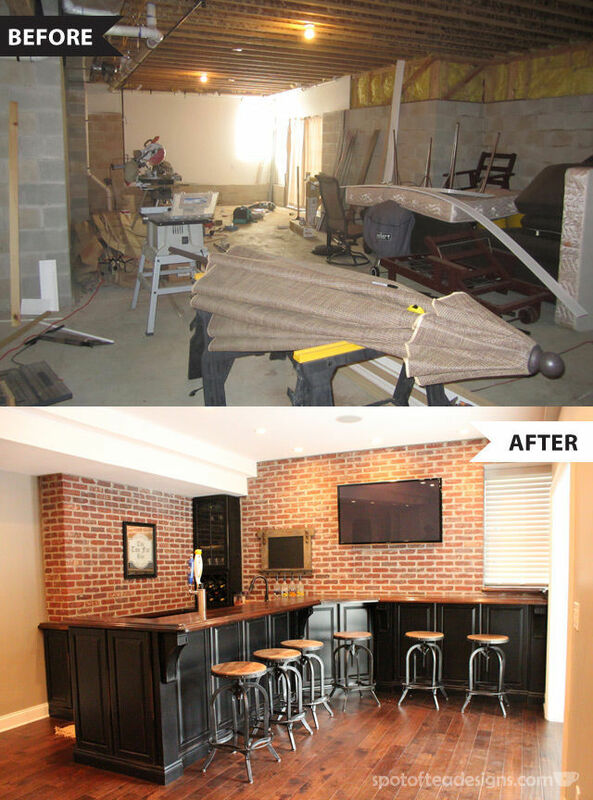 After a year of hard work, Frank’s basement was finally a functional place for his family! 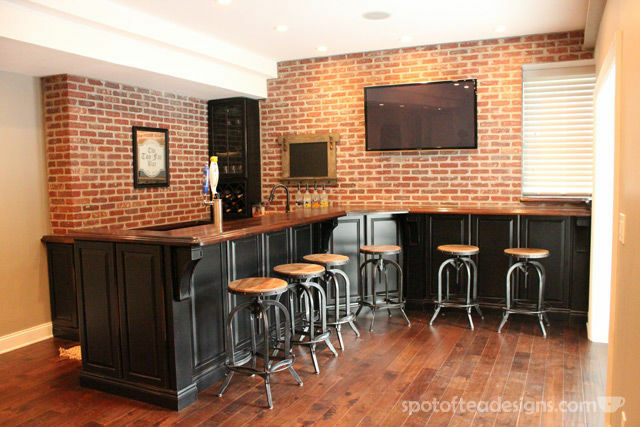 Besides a large family room space (hopefully a future blog post) and the space that will eventually be his home office, there was also room for a new bar. 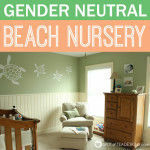 This wasn’t going to be just any old man cave with tacky signs, alcohol paraphernalia and beer cans. 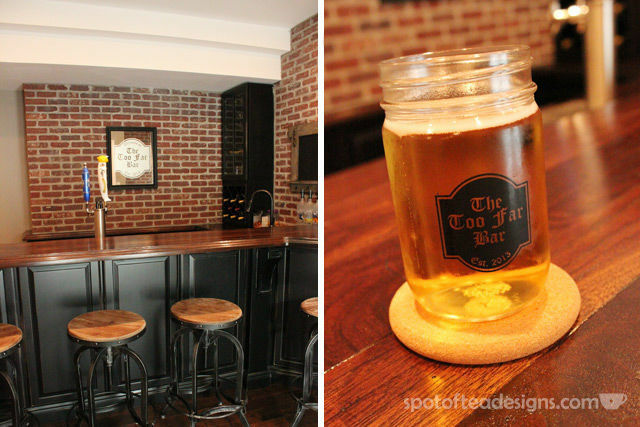 Nope, Frank proved that there is a classy way to have a beer in your man cave. He “wanted it to have a true pub feel and make you feel like you were in the corner of a small pub” and I think he hit the nail on the head. 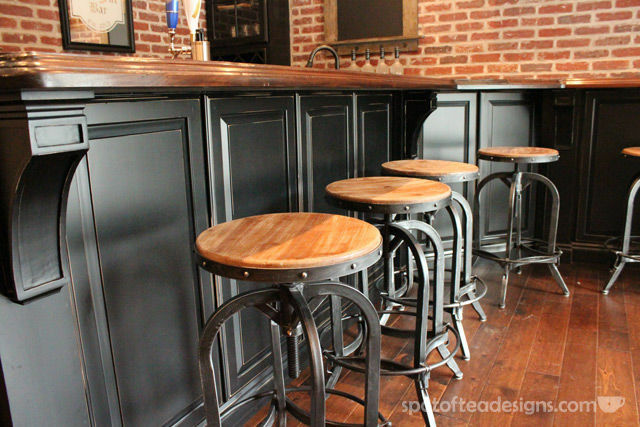 This high class bar sits 6 friends on these black metal stools. The best part is that they spin to be raised or lowered, as Frank tends to have a mix of shorter dudes and above average height regulars so they all have a comfortable spot to sit. 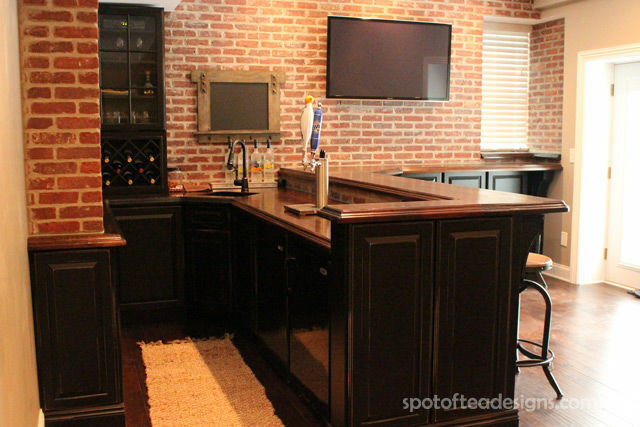 The large counter space allows for plenty of room to make some mixed drinks or have a spot for snacks for the big game. 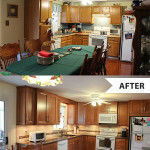 Instead of an ultra smooth finish, Frank requested a distressed look on the custom countertop. Don’t forget about the drinks! 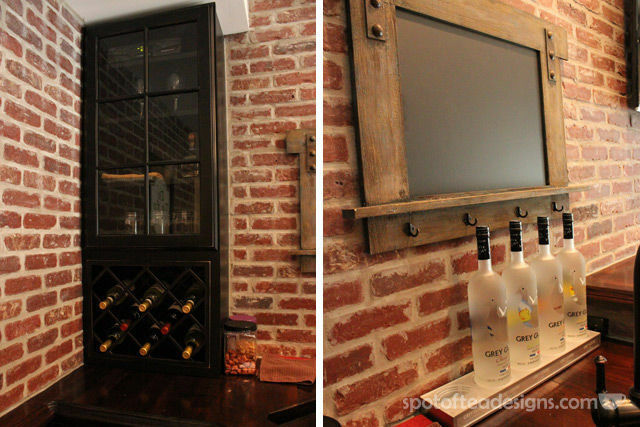 Besides the two taps of cold beer from his under the counter kegerator, there is also a wine rack in the back and a Grey Goose station for those wild nights! A few weeks before he hosted the “opening” he asked if I would design a logo for his bar. It was probably one of the easiest logos I’ve ever done since he already had a name picked out and a font style he preferred. I put them together in a traditional pub style shape to come up with the design seen here. 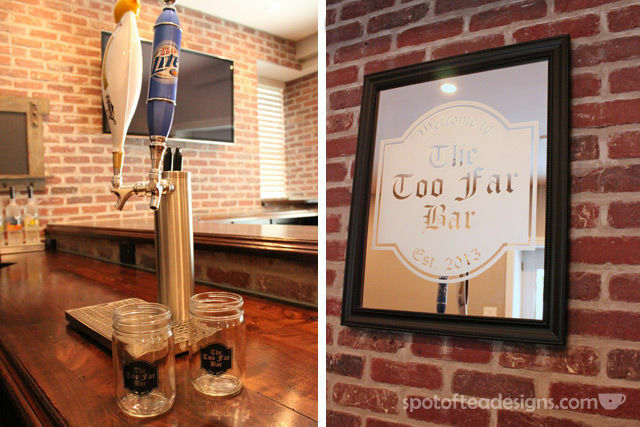 Why “The Too Far Bar” you ask? Umm did you see this bar? 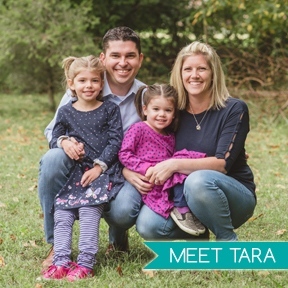 Frank’s nickname is “Too Far Frank” since he always has big ideas and the guts to pull it off! 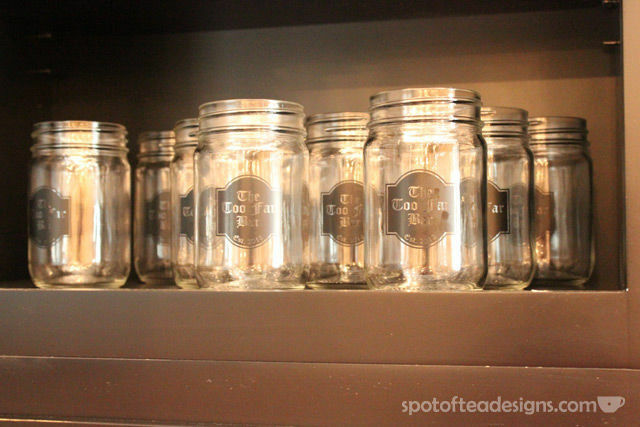 Not only did he get the logo printed on mason jar style mugs but he also had it etched on a mirror to hang behind the bar! Pull up a seat and have a cold brew! Countertop: Custom 2 inch Walnut stained with Minwax Dark Walnut Color and finished with Waterlox Sealer. 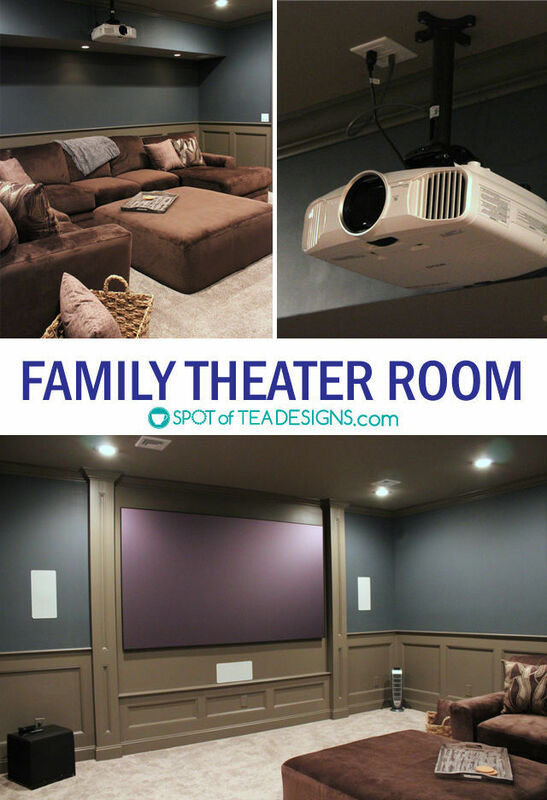 And if you’re looking for more of Frank’s awesome basement makeover, check out his Family Theater Room!